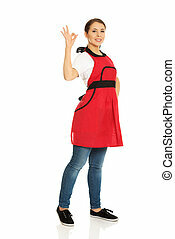 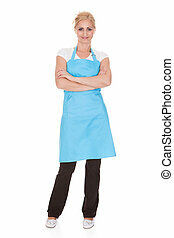 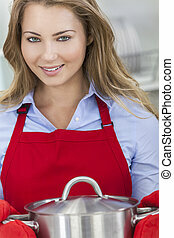 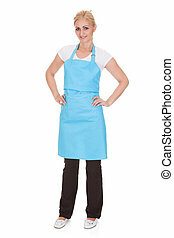 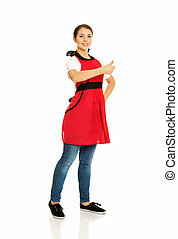 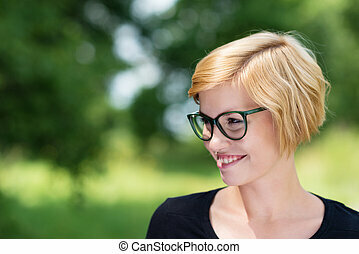 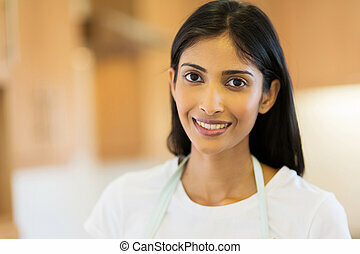 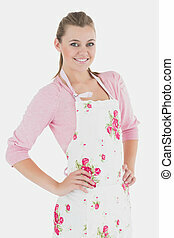 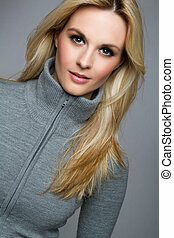 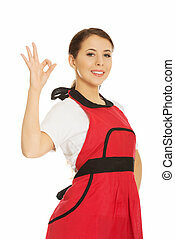 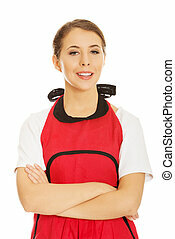 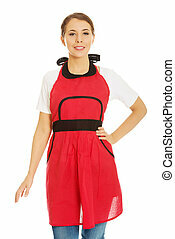 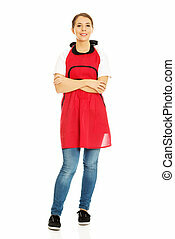 Beautiful happy young blond woman wearing kitchen apron, isolated on white. 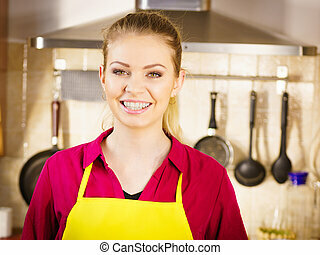 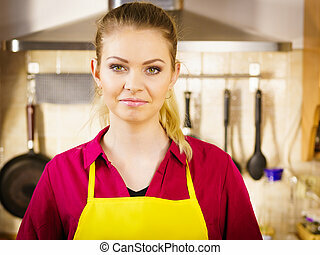 Young adult woman wearing yellow apron about to cook some meal dish in kitchen. 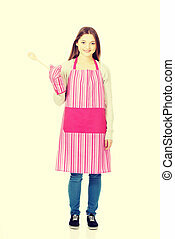 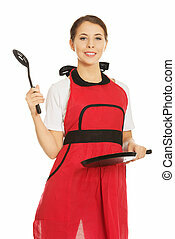 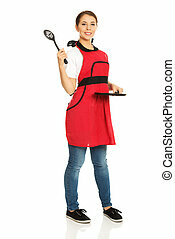 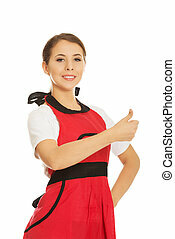 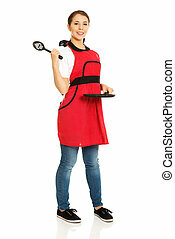 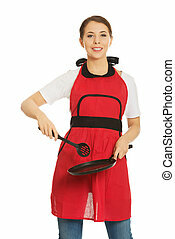 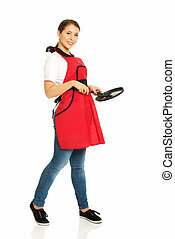 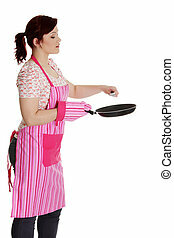 Teen woman in kitchen apron holding wooden spoon.